One can NEVER have too many pictures of the entrance to Disney World! Again, I dug through the older stash. These fun die cut pieces worked perfectly for the picture. I also added some strips of ribbon and trim. The acrylic Mickey head pieces I actually found at a Hallmark store years ago. I just love your take on our sketch! And your colours - so very pretty! 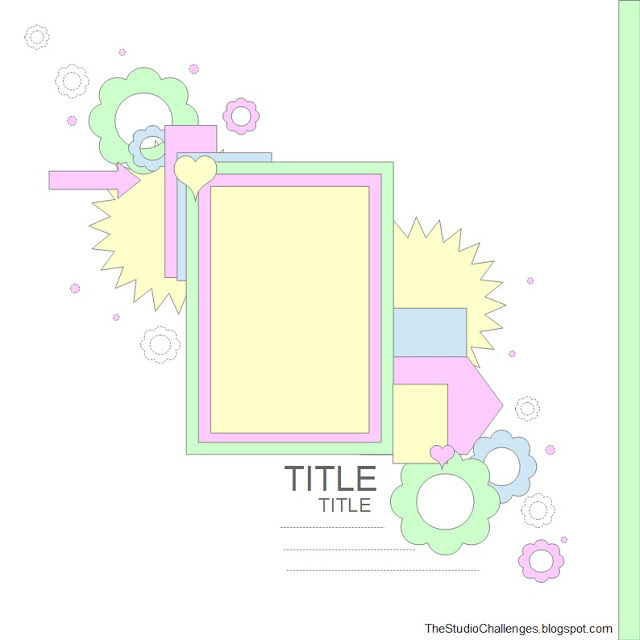 Thanks so much for joining us over at The Studio Challenges! I love your background paper and I love Disney world! 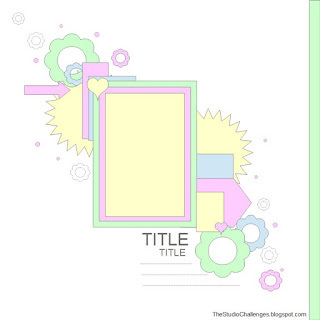 ;-) Thanks for joining us at the studio challenges! I love the colour and fun of your page. Thanks for joining us at The Studio Challenges.